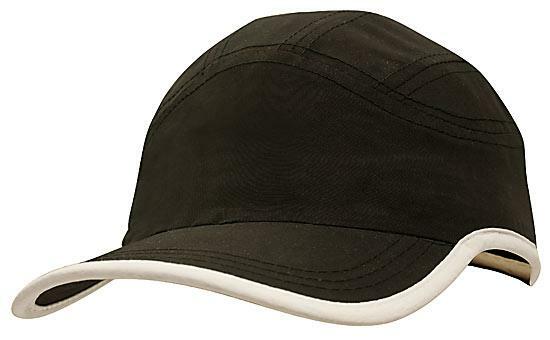 Made from one of the softest materials, the custom Microfibre Sports Cap plus Trim also features piping around the peak and cap. Low minimum order quantities and nationwide shipping. What’s a better way to foster camaraderie and competitiveness than a sports competition? It’s one of those rare events where your staff gets their game face on and will have fun stories to tell even years after. A momentous and memorable event like that deserves a special giveaway. 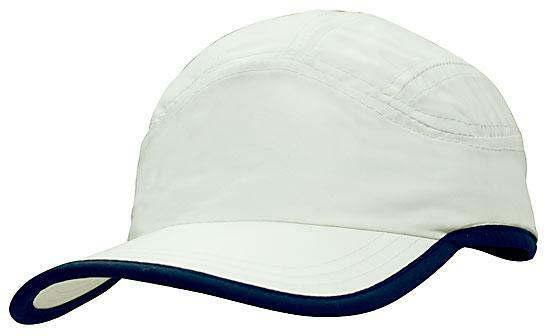 And for that, nothing could be better than the promotional Microfibre Sports Cap plus Trim. 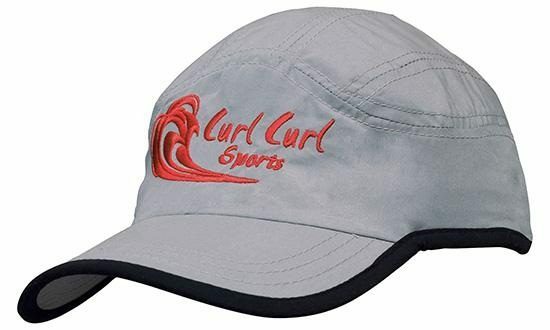 This customised Microfibre Sports Cap plus Trim is specially made for athletic activities. 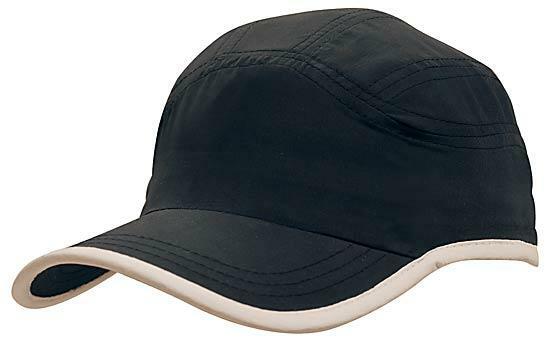 Be it running, biking, hiking, beach volleyball, tennis, or golf, the popular Microfibre Sports Cap plus Trim will do a fantastic job. You name it, this promo cap can handle it. 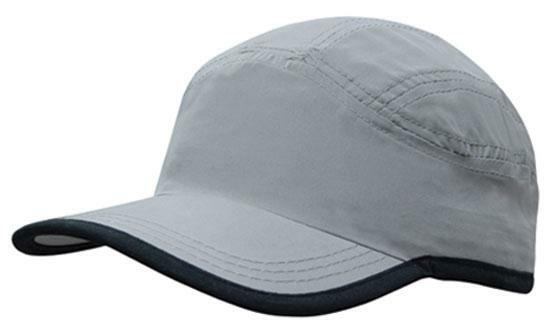 Our branded Microfibre Sports Cap plus Trim is made of the softest materials, making it very comfortable. It’s also non-structured so it easily contours in the head. The Microfibre material is also breathable so wearers can keep it on for long hours and still stay cool and comfortable. For additional aesthetics, we’ve put a contrast coloured trim that runs around the edges of the peak and the crown. 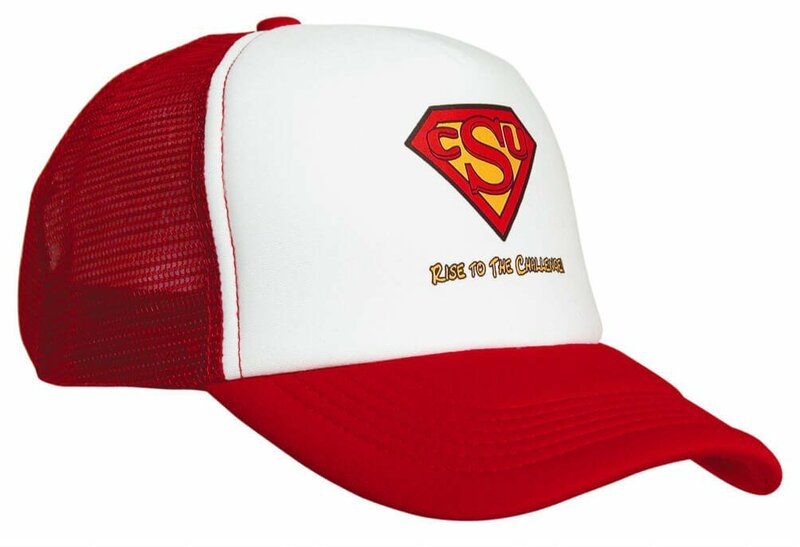 This gives the cap its unique personality and added attitude. 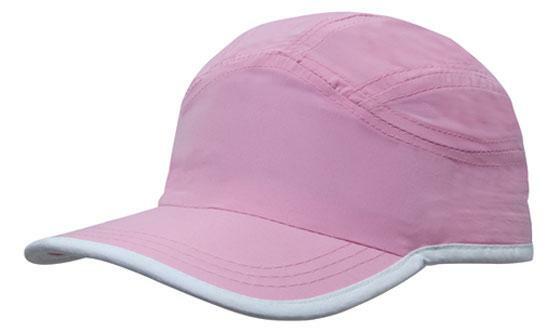 This you beaut cap comes in five awesome colours – Black/White, Grey/Black, Navy/White, Pink/White, and White/Navy. So start making those team logos and pair them with the available colours that we have. 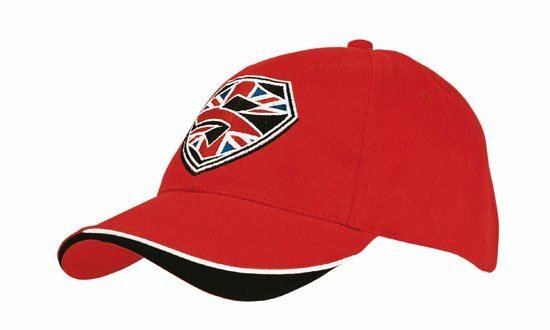 Once you have them ready, just send it to us and tell us how you’d like them done – either printed or embroidered. 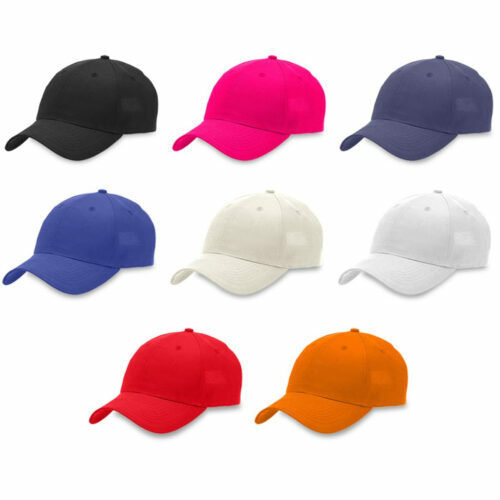 Your staff will surely love this low cost Microfibre Sports Cap plus Trim, and you will too, since it comes at very affordable price points. Anytime you have questions or need more information. Simply give us a call at 1300 008 300, or hit us up via live chat on our website. Want to see a similar item? Check out the customised Premium Brushed Heavy Cotton Cap.